Even if the temperature has been yo-yoing quite a bit, the sun been shining and I know plenty of people chomping at the bit to hit the links (i.e. Master’s fever). 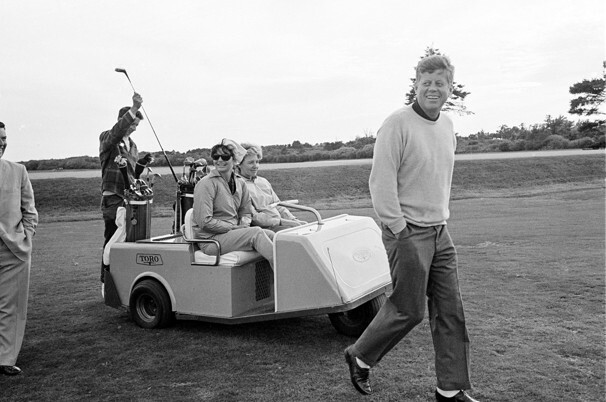 Whether you fantasize about the coveted green jacket being bestowed on you at Augusta or simply play best ball with a frosty beverage at every hole, get your golf style inspiration from this classic image of Jackie and JFK on a putting green at the Newport Country Club on Sept. 14, 1963 (you can see the NCC blue and red pin flag in the color pic below.) Also in the photo is Washington Post senior editor Ben Bradlee and his wife Tony. Note Jackie’s stylish yellow cigarette pants, cream sweater over a navy blue polo, and hat. Check out the video below as well. Entry filed under: Uncategorized. 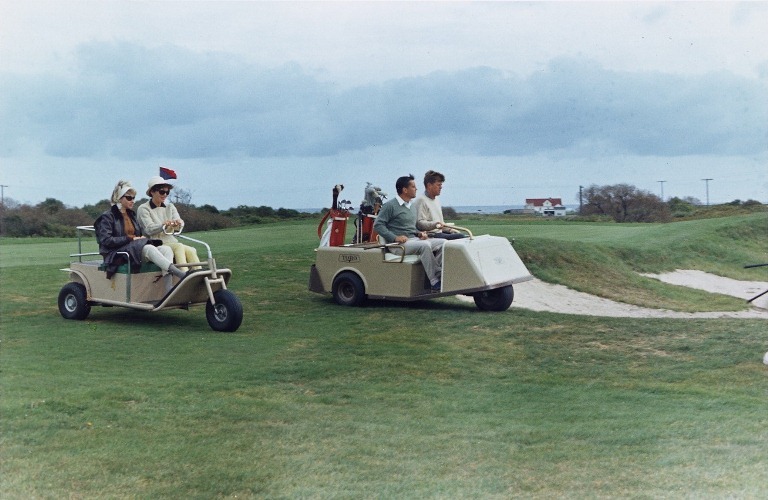 Tags: chef tattoos, Jackie O fall fashion, Jackie O fashion, Jackie O golfing, Jackie O Newport, Jacqueline kennedy golfing, Jacqueline Kennedy Newport, JFK golfing, JFK image, JFK Newport, John F Kennedy golfing, John F kennedy Newport, kennedy in Newport, Newport ri blogs, Newport ri boutiques, Newport ri fashion blogs, newport ri shopping, Newport ri style, Newport Shopping.